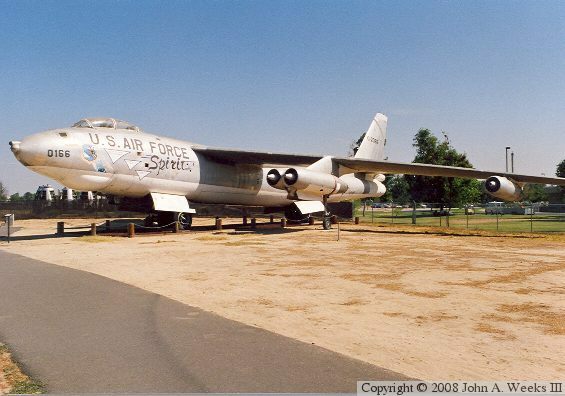 B-47E Stratojet bomber on display at the Castle Air Museum in Atwater, California. The museum is on the grounds of the former Castle AFB. It is open to the public. This B-47 flew the last B-47 flight in 1986. It spent the previous 20 years as a Navy bombing and gunnery target at the China Lake Naval Weapons facility. If you look under the nose of the B-47, you can see some aircraft parts behind the fence. This is the B-36 that was moved from Chanute AFB after it closed, but prior to being reassembled at Castle.